I look so serious. I'm happy! My bouquet turned out wonderfully. My wedding could not have been more perfect! The weather was beautiful - warm and sunny. 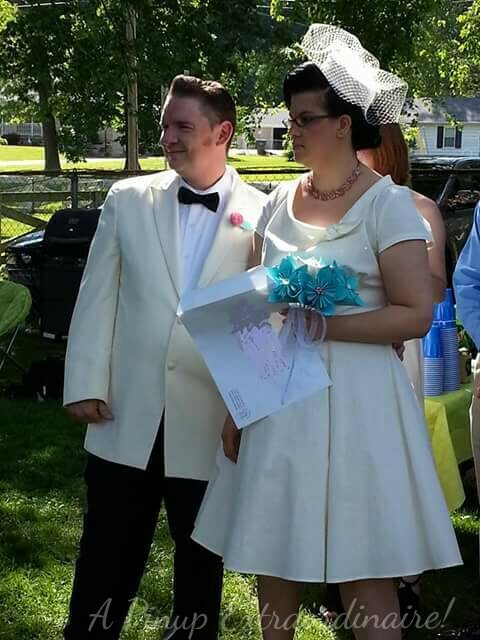 For the most part the wedding went without a hitch; except I was dreadfully late - to my own wedding! Ha ha. It wasn't my fault anyways. I started off the day with hair and make up appointments for me and the maid of honor. They were scheduled at 1pm, I guess I should have made them for noon. When we left the salon we had about 15 mins to get to the other side of town for the wedding. We would not have made it "on time" - it would have been slightly after but we missed that mark too. I was about half an hour late to my wedding as the driver felt he knew his way around town better even though he was from out of town. I'm not sure why the gps was ignored but my directions were finally heard when I realized we were about to be out of the county. It's okay - it makes for a great story and the "worst" thing that happened that day or the biggest mishap. My hair and makeup, by Jamie Stahl of Shotgun Betty's Salon, turned out beautifully! I couldn't be happier with my wedding day hair and makeup. I went for a retro, pinup look to complement my dress and style. My hair was based off of a model on the Heart of Haute website. Jamie mastered it! Wedding day makeup and hair was $120 including gratuity - quite a bargain! Not to mention Jamie made getting ready so much fun! 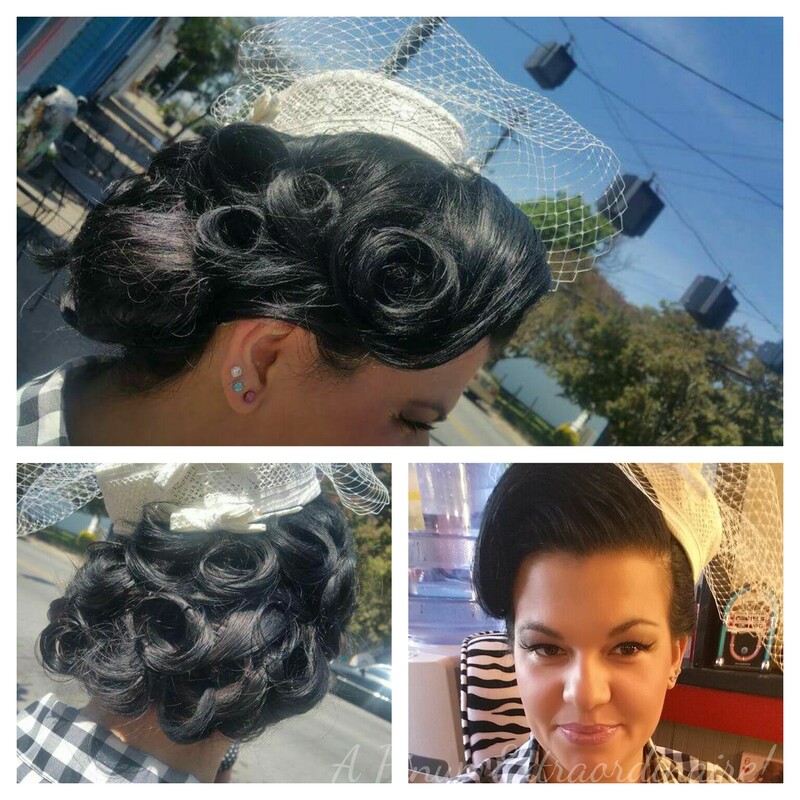 Check out Shotgun Betty's for any hair or makeup needs - you won't be disappointed! I thought I would have taken more pictures of the wedding. I certainly intended to do so, but after all the excitement of getting there, dressing, and then the ceremony - I forgot. Ha ha. I was having such a good time at my wedding I forgot to take pictures. Thankfully, my photographer took pictures though I'm waiting on those for now. I'll post them when they are available. Have any funny wedding day stories? Did you get to enjoy your day? Post below!